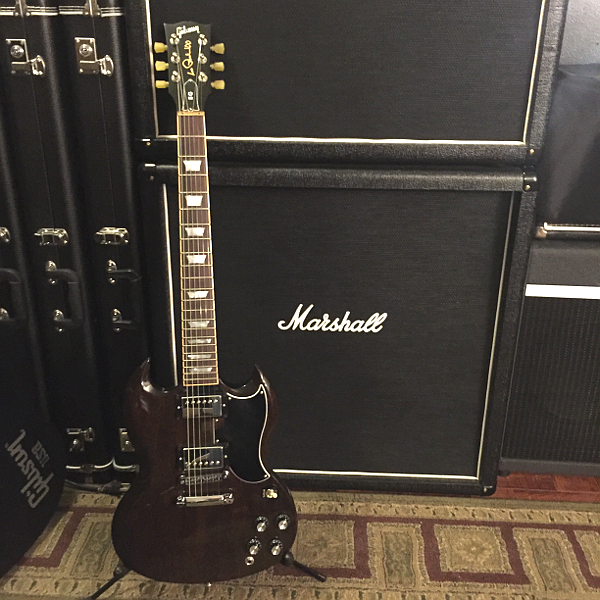 Discussion in 'Gibson SG' started by brazilnut, Apr 16, 2019. What's the story with these guitars? And where can I get one? Papagayo's beauty has me GASSING! Oh, and please include pictures if you own one. Are you talking about the 2015 SG Standard Ltd Edition ? 58pit, brazilnut and Dale like this. Well, yes. Are their others? Dale, brazilnut and PermissionToLand like this. Dale, 58pit, brazilnut and 3 others like this. brazilnut, AngelDeVille and papagayo like this. Well, there have been quite a few limited edition Standards released over the years, like the 120 or Xtra slim of 2014, or some of the Guitar of the Week/Month models.... but this isn't one of them. This is a regular 2015 SG Standard - available in Heritage Cherry, Translucent Ebony, or Fireburst. Details here, if you're interested. Like most of the 2015 range they were pretty unpopular at their original high prices, but seemed to sell quite well once they were on clearance. 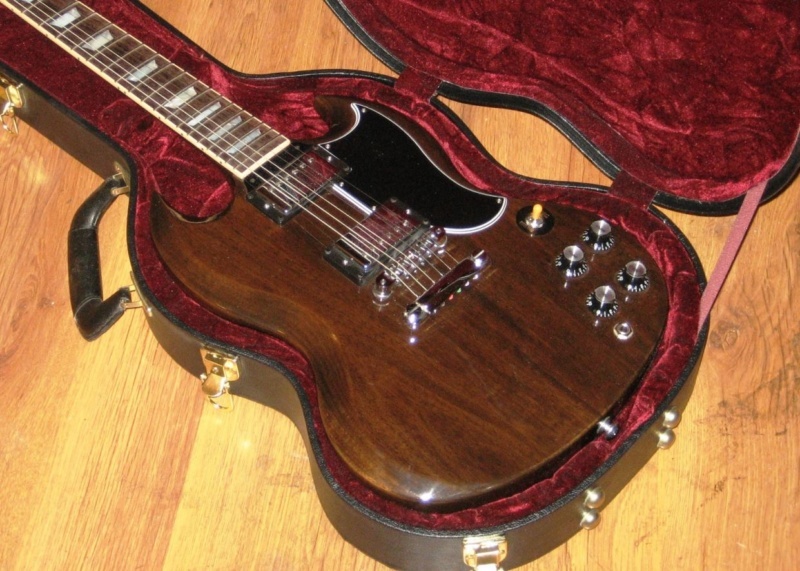 FWIW, I recall Gibson released a few 'limited runs' in 2015, such as the Midtown Standard, but I don't remember any limited editions/runs of SGs that year. There was the Derek Trucks model, but I don't think it was classed as a 'limited edition' at all. Funny! Years ago I bought a used BMW on a really sunny day. It was almost electric blue under that lighting at that time of day. They told me the color was called "Montreal Blue". I soon learned (to my dismay) that only at that specific location, time, date, and atmospheric conditions was it blue at all. Under all other conditions it was purple. In other words I discovered that "Montreal Blue" is German for "purple". SG Standard Anniversary or Ltd... 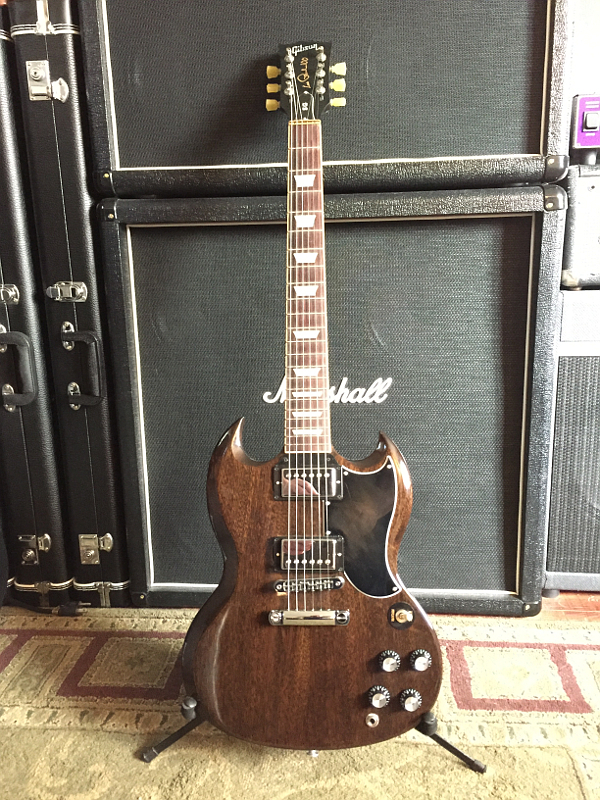 Awesome SG ! Was this the year when they made the fingerboard wider than usual and added G-Force tuners? And that silly signature on the headstock? Real Mother of pearl inlays too, not plastic. In fairness, you also got coil splitting (as in 2014), the G-force tuners were a slight improvement over the Min-Etune of 2013/4, and the lack of nibs/wider fret board does give you a lot of 'wiggle room' for finger vibrato. Also, from what I saw of the 2015 models (an SG bass and Midtown Standard), they were pretty well made instruments. But that Les Paul 100 headstock.... not a fitting tribute IMHO. The 2015 SG Standard was just sold as the "SG Standard 2015", no 'anniversary' or 'limited' in the name. Just like the 2014 which had an anniversary banner at the 12th fret was simply called an 'SG Standard'. And even the 2014 'SG Standard 120' was simply called that - even though it was a model to celebrate the 120th anniversary, it wasn't called an anniversary model. SGs are awesome. You don't need to embellish them with words like 'anniversary' or 'limited'. Dale and Logan like this.